Geometric and chemical heterogeneities of solid surfaces play a key-role in a wide range of physical processes including adsorption, catalysis, separation, gas storage, hydrophobic surfaces, electrochemistry, and many others. To share and broaden our understanding of the phenomena related to surface heterogeneity we organized ISSHAC symposia which have served as a forum for an intensive exchange of information on experimental findings and theoretical approaches defining the state of the art and fostering progress in this field. The idea of organizing the first international symposium ISSHAC was conceived by Prof. Wladek Rudziński, Faculty of Chemistry, Maria Curie-Skłodowska University in Poland and Prof. Bohdan Wojciechowski Queens’s University in Canada. Their initiative was supported by Prof. Rudziński’s closest co-worker—Prof. Jola Narkiewicz-Michałek. The first symposium was held in Kazimierz Dolny in Poland in July 1992. Several dozen of scientists assembled at that first symposium. The success of the first symposium encouraged us to organize next ones every third year. Over time it has become a forum of presentation of the latest experimental research results and theoretical approaches as well as intensive exchange of ideas and opinions about adsorption and catalysis on solids. While organizing the first event, and subsequent symposia, we followed the principle that each symposium should be located in a different but attractive place in Poland. We simply followed the well-known Roman idea that “spirit of place” is very essential for a success of any enterprise. With each next symposium its prestige and scientific rank were growing. After having organized ISSHAC-1 in Kazimierz the next ones were held in the most beautiful cities and regions of Poland (see Fig. 1). The Jubilee ISSHAC-10 was organized 27–31 August 2018 in Lublin—the place where the idea of ISSHAC symposia was born. Charm of this city situated in South-East Poland and exceptional attractiveness of Lublin Old Town definitely added splendor to the symposium. This time the jubilee 10th symposium was attended by over 130 active participants. Besides the participants from Poland, there were researches from Europe, Asia and North America, in total from 18 countries. Many of them participated in the previous symposia. However, a numerous group were those who took part in this symposium for the first time. In total there were 58 oral and 117 poster presentations delivered during the Jubilee ISSHAC symposium. Starting from ISSHAC-2, after each successive symposium the special edition of collected papers has been issued in prestigious journals including Langmuir and Applied Surface Science. In the case of the last three symposia (ISSHAC-8, ISSHAC-9, and Jubilee ISSHAC-10—the journal Adsorption has published the papers). For the first time Dr. Mariusz Barczak, Prof. Rudziński’s co-worker from Department of Theoretical Chemistry shared the editorial duties with Prof. Wladek Rudziński, who has been so far the guest editor of all previous special issues. Dr. Barczak was announced to be the Chair of the Scientific Committee of the next ISSHAC symposia. 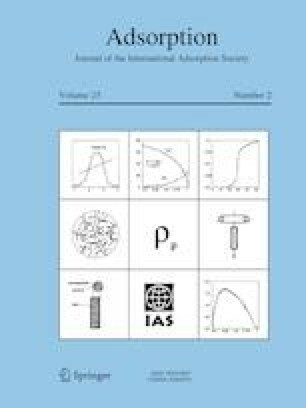 Special thanks are forwarded to those of the active participants who have contributed their papers to this special issue of Adsorption journal devoted to the present ISSHAC-10 Symposium. The success of all our previous symposia encourages us to continue our symposium series in the future. We have already in mind a very inspiring location for the next ISSHAC-11 Symposium, and look forward to meeting you there in 2021.